It was tough this last week, avoiding several of the posts that sites I visit had on this film. I always want my first experiences with a movie to be as fresh as possible, and if I get a spoiler, or an opinion in my head too earlier, I’m afraid I will respond to the movie with someone else bias instead of my own. I could not stay entirely uninformed and still be on line, so I was aware that most of the other bloggers I follow felt it was a solid film, but all of them seemed to think it was derivative. Having seen the movie for myself, I can say that there are touches of other films, but I don’t think they have much to do with the story. This felt pretty fresh to me and original enough to have me anticipating revelations without being exactly sure which way they were going to go. Folks like me enjoy dropping names and gaining some cache from our familiarity with other films. You get to show off a little when you can say, “That’s stolen from [fill in obscure film title here]. ” In reality, the films being cited don’t always have to be obscure to give the impression that we know what we are talking about. If the referent is well known, just make sure that the analogy is a fresh one and it will still register with others. I can be as cynical as the next person but usually I prefer the role of sentimentalist. If a story moves me, or my eyes are filled with wonder, that is usually good enough for me. This movie succeeded at doing both of these things and that is why I can give it my recommendation. The plot twist does not have to be a blind side “Twilight Zone” original, it simply needs to make the story work and the characters matter more to me. The three main characters in this film, play out a series of what may seem inevitable outcomes, but there were some earned emotions along the way. Victoria, played by Andrea Risebourgh, is a character that in the end is much more complicated than we are originally lead to believe. The set up of the story seems to imply a lack of depth on her part and the willingness to accept orders suggests she is merely a convenience for the plot. I thought there was a solid emotional journey and that the feeling of betrayal that sends this story in it’s final direction was completely understandable from the perspective of the Victoria we meet. Her tears are not the manufactured emotions of programmed character, but rather a wounded soul who is in over her head. Tom Cruise manages to make his switch in loyalties reflect a dilemma rather than a mere awakening from a delusion. When he has to confront the same emotion after a stunning plot point, he sells it as a truly painful moment despite his deepest emotions being awakened. In the end, Victoria does not turn out to be the love interest, but she is not a disposable character at all, and if we had to put our imaginations to it, we would see that she is more deeply effected than Jack is. This is the second feature in a row that Cruise plays a character named Jack, and it seems to suit him. He is subdued in the part but effective as a protagonist. There are two or three moments when his acting has to sell what might be an otherwise ridiculous story line. 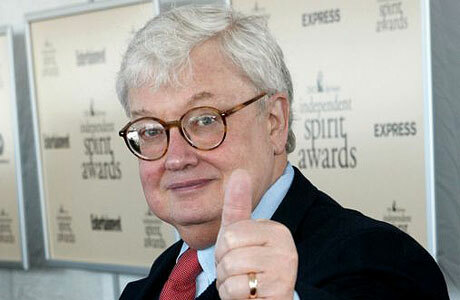 He once again is very reliable, and the star casting is undoubtedly one of the reasons for the movies success. 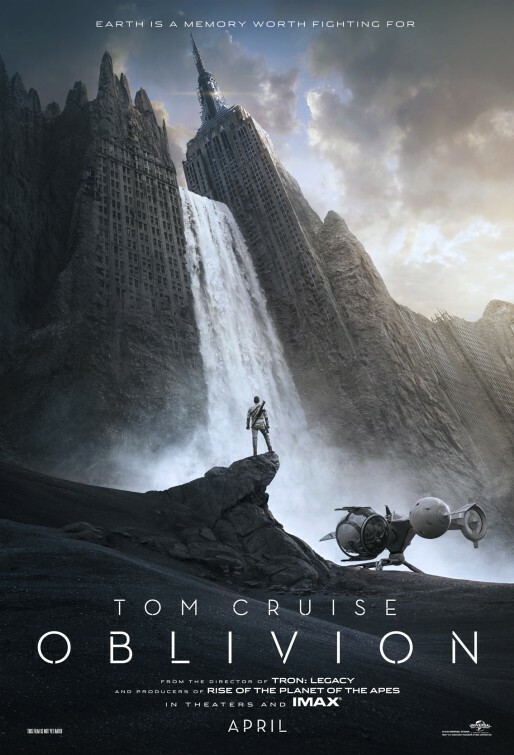 This is a science fiction film, so there are always going to be elements of the story that seem unrealistic. If there are plot holes, they don’t intrude enough on my first viewing to take away form the suspense of the story. I like the twist and it seems completely real given the context we have been placed in. There may be some big picture questions, but when you are following the characters, those questions fade to the background. It helps that we are distracted by some spectacular design work for the world of the future. The devastated planet and the high tech living quarters and tools are wonderfully realized. Jacks vehicles and weapons are detailed just enough to make them practical while still having the cool sci fi look that I always enjoyed as a kid. The living platform that Jack and Victoria occupy, would make anyone on the West Side, jealous of their design and location. The concept for the swimming pool will almost certainly be on some billionaires feature list in their next house. We are looking at a war film that begins by telling us that the war is over. Nothing is that straightforward however in a science fiction film. Complications arise and the personalities of the characters drive the ability of the plot to develop. We learn that Jack is better at his job than he needs to be, and that his job is not enough for him. The crack in the facade escalates on two paths; his life with Victoria and the bigger issue of the film, the future of humanity. There are some nice revelations that tell us the real story. Some of them are contained in flashbacks, some are revealed in action and then, when we need it the most, some are shared through the sonorous tones of the great Morgan Freeman. He has a relatively small part but it adds to the credibility of the story to have his character exist at all. This was a very entertaining film, that told a story that worked for me and fit the forms of a good science fiction adventure. What elevated it for me a little was the level of conflicted emotions I felt for the characters of Jack and Victoria. The story finishes with a satisfying plot turn which resolves on aspect of the tale, and leaves the personal aspects settled on the surface but maybe frustratingly so. It’s not just the fact that Bridges is an actor that let’s me feel good about posting here, it’s also that his set includes numbers from a several of his films. In at least two of those, he performed the songs on screen so there is an additional connection. 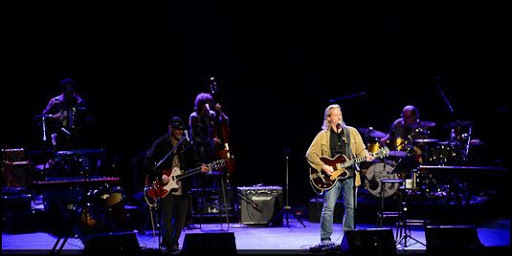 Bridges band consists of his friends and fellow musicians from the Santa Barbara area. He has been a musician himself most of his life. He told the story of how his Dad pushed him toward acting. Jeff claims he told his Dad “I really think I like this music thing,” to which he claims his Dad responded, “Be an actor and you can play a musician at some point”. It was a charming story and indicative of the warm way in which Bridges embraces the audience with some familiarity and modesty at the same time. He has of course played a musician, most notably in his Academy Award winning role as Bad Blake. The show featured at least three tunes from that film, including as part of the encore the amazing “The Weary Kind”. I do have to say that I was a little surprised at the number of canes and walkers that were being used by the audience members. The sixties generation is clearly not all as fit as the Stones are and many are moving into that stage of life where they are a bit frail. All of the audience however was enthusiastic and appreciative of the musicianship, with particular kudos and ovations for the lead guitarist and for the accordionist/steel guitar/percussion/jack of all trades man in the hat. Bridges introduced both of them but I’m afraid I don’t recall their names and as I looked around on his website I could not find them. It is almost certainly there and I just missed it, sorry. The above shot is from a show in Seattle last year, but I think the band is the same. I looked around to find some links that might make the show more real for any of you who are interested. There were at least two songs from “The Big Lebowski”, the Bob Dylan song “The Man in Me” was nicely covered in Jeff’s gravely but warm tones. Here is something approximating the way it sounded on Friday, this is also from a show last year. He reminisced about several movie experiences between the songs. I would love to have been sitting around listening to the musicians jam on the set of “Heaven’s Gate” or just strumming along on the guitar the last time he claims to have been in Vegas doing “Starman”. He mentioned that one of his favorite lines from any film he has done was the line near the end when the visitor explains what he finds most beautiful about humans, “You are at your very best when things are worst.” It was a touching thought given the events of the last week and reflective of his humanitarian attitude, and it came without preaching, which made it all the more inspiring. 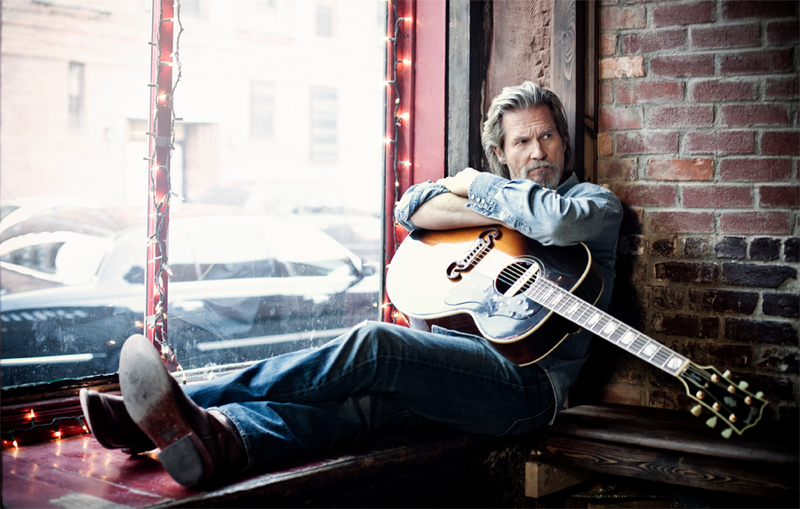 I was most familiar with the songs from “Crazy Heart”, one of my favorite films from 2009, a film like “Star Trek” that was neglected in the Best Picture category but made it’s mark in two other categories. I have listened to the album occasionally over the last three years and the music is on my ipod, although lately I have depended on my Kindle Fire to hear music. The songs are mostly country based and that fits well with the bands work. They are focusing mostly on Rock/Country based sounds and the show was heavily influenced by Nashville sensibilities. I’ll finish this post with a clip put together by a fan, featuring Bridges singing the Academy Award Winning song and some photos taken at another event. If you are going to miss a weekend in the movie theater, at least let it be for an event like this. Back soon with more film centered posts. On his regular feature “Movies That Everyone Must See”, my pal Dan over at Fogsmoviereviews has a terrific article on the greatest film of the last half century. Enjoy. With a hundred things to do this weekend, I thought at one point of skipping the movies and waiting until next week to see this film. Every time I saw a billboard, or poster or TV ad, I just could not wait. This is a film that calls for attention, it is about an important subject, and it is not afraid to wear it’s heart on it’s sleeve. Those are characteristics that compel me into a theater even when I don’t have as much time as I’d like, and my instincts lead me in the right direction this weekend. 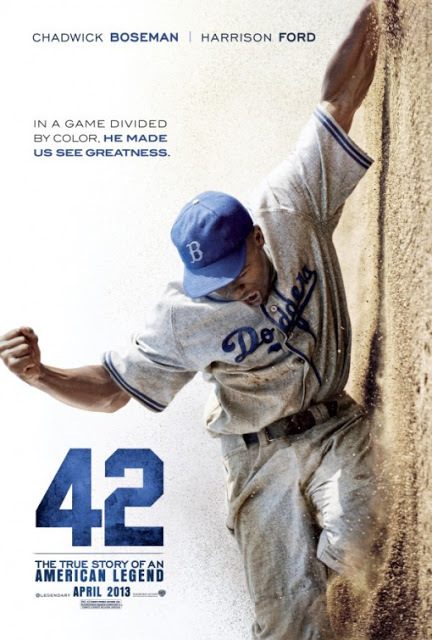 “42” is the kind of movie that cineastes often dislike but the public at large consumes in mass quantities. The story has few surprises, the film making is sometimes obvious or even down right schmaltzy, but it works on such an emotional level that minor quibbles about hamfisted story telling are swept aside by emotional performances and the personal baggage that the viewer brings to the experience. The story of Jackie Robinson, breaking into the major leagues, is a turning point in our cultural history. Years before anyone had heard of Rosa Parks, Martin Luther King Jr., or Brown vs. Board of Education, baseball became a pivotal moment in the Civil Rights movement. Robinson was on his own, standing up to the world as it was and simply asking to be allowed to play ball like any other person might expect to do. The movie focuses on the three years from when he was first considered as a candidate for the big leagues, to the end of his ultimately triumphant rookie season. This is a dramatic view of post war America, warts and all, struggling with itself as a moral leader in the world. I’d like to think that this film accurately reflects that struggle and allows us to take pride in the determination of a few men, black and white, who thought it was time for the world to change. The movie starts by visualizing the decision of Dodger President Branch Rickey, to seek out a black player for his team. It appears to be a calculated move, designed to build brand loyalty among the black fans of baseball, and the forward thinking Rickey seemed to know that it was destiny that the league would be integrated. As portrayed by Harrison Ford, Rickey is a combination of shewed business man and visionary civil rights advocate. He never comes out and acknowledges a motive other than building the best ball team he could, until an emotional scene when he confesses to having done less than he might have for another black player at another time. It’s not a moment lingered over, but it does give us a little more motivation for all the trouble the decision ended up causing. Ford has always been an actor of great physicality. I think ninety percent of his one performance nominated for an Academy Award, is based on how he squares his shoulders, raises his arms, and smiles or grimaces for the screen. In this role he may have more lines than any part he has ever played, even when he has been the lead. It is still his physical behavior that imbues the part with it’s life. Here his back is bent, and shoulders slumped. He chews his cigar with the same fervor that he is chewing the scenery. He gets the most possible out of his gravelly old man voice and lets the special make up effects that are his eyebrows in this movie sell the rest. He is not the lead, but he steals every scene he is in and the performance is grand. Chadwick Boseman is a bright young actor with a great future in front of him. He plays Robinson as a tightly wound spring, a man that has a strong desire to stand up and fight back, but due to circumstances he must bite his lip and keep his anger holstered. The story and it’s emotional impact helps carry him through some rough patches. There are a few flat spots and a few over the top moments, but the actor manages to keep our focus on the story. The script sometimes requires a bit of the ridiculous, but that’s the story of the country at the time. a giant in the world having to acknowledge the ridiculous racism that mars it’s moment in the sun. Everyone else in the movie works very hard to show the kinds of people that were faced with these great changes. Some of them were brave, like “Pee Wee” Reese, who learns that his burden is nothing compared to Robinsons, others are cowards, backed reluctantly into playing with Robinson because their jobs were threatened. The most small minded of all are synthesized into two dramatic scenes. Alan Tudyk, portraying Phillies manager Ben Chapman personifies the deliberate hatred of the new, with a string of invective launched at Robinson during an early season game. Later, we see the contamination of an enthusiastic kid by the seeds of hatred planted by his father in the casual cat calling that went on during the season. I am a sentimentalist, and the tears come easily when Robinson is embraced by his team mate in a show not just of unity but of self definition. The baseball heroics are fine, sports films need those kind of moments, but it is the small, sometimes obvious moments that really get to me. Robinson was not always perfect, Rickey was not altruistic, and the whole country was not racist. Separating the good from the evil is not a pretty enterprise at times, but it is comforting to think that when push came to shove, most of the country was anxious to push forward. It will probably feel like hokum to some viewers, and the movie will be accused of the usual faults of a story like this is. If people can get over their racist past, you would think movie snobs could temper their bias and just enjoy a great, uplifting story without having to deconstruct it through a narrow sociological prism. I was deeply moved by the story and the production values make me long for the days when the world was coated in hope, and promise. Maybe the vision of the film is an illusion, but it is one that we should be entertained and inspired by. 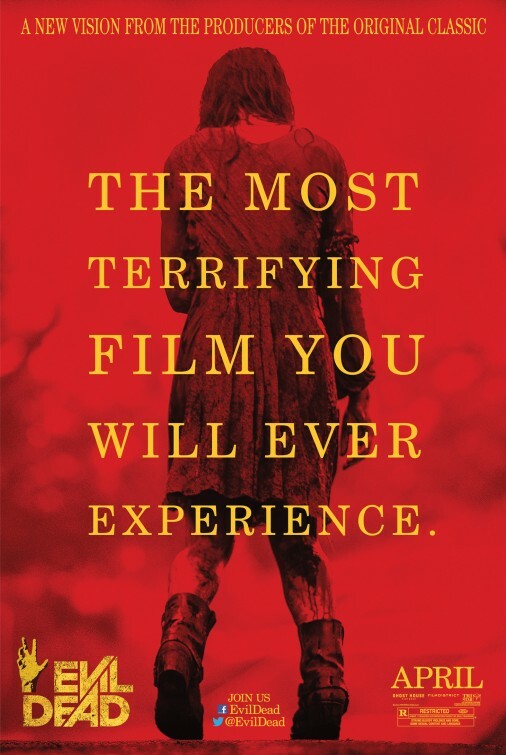 I always hope every movie is better than the last one, but I don’t know if any poster this year will be better than the one for this movie shown here. Let’s play ball. So why would anyone spend almost $40 to take three people to see a movie that is twenty years old and that all three had seen dozens (if not a hundred times)? That’s easy, it’s “Jurassic Park “, back on the big screen. I’d have paid that to see it on a regular screen without the 3D. 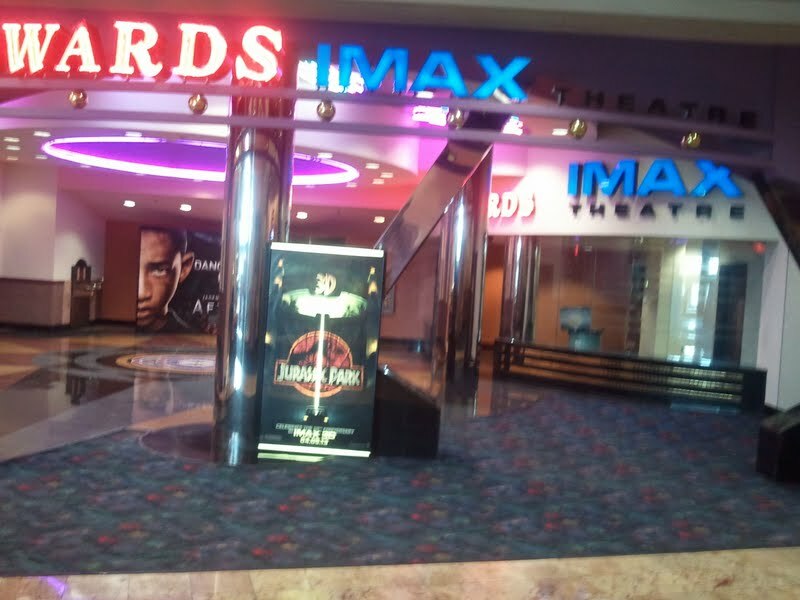 The fact that we saw it in the third dimension and on a giant IMAX screen is just a bonus, although one of my companions did say that all viewing of “Jurassic Park” should be on IMAX, so everyone has to get a 70 foot screen for their home. That’s not really practical but I know exactly what she means, this movie rocks on the giant screen. There were details that you could maybe see on a big TV, if you paused and looked closely. Here they are right in your face. A few weeks back I posted on another bloggers post on this film, a brief story about seeing this twenty years ago, here I want to share the longer version of the story. We saw this movie with my friends Tim and Jamie Martin. My kids were little and we had my Mom baby sit for the night. We went opening night so it was packed because this was one of the biggest movies to open not just that year but ever. We only saw Tim and Jamie a couple of times a year, we went out to dinner, and then to the movie, it was a big deal. Sitting in front of us in a packed theater, were three or four twelve to fourteen year old boys. As kids at that age do, they started acting up a little, mostly just showing off for each other. I was very patient waiting through all the trailers for them to calm down (one of the trailers was for “The Flintstones” which was just a teaser and was not coming out for a year). Anyway, there was not another spot to move to, so I waited. When the screen goes dark and the “Universal” logo scrolls on the screen, John Williams ominous music cue starts and it sounds like a dinosaur, stomping through the dark. One of the kids sitting in front of us says out loud so the whole audience can hear his jaded attempt at humorous bravado “Oow, scary!” It is at this point that I leaned forward and said to all of them, “You haven’t seen scary until you’ve pissed me off. I don’t want to hear from any of you for the next two hours!” In 1993, I wore my hair long and my beard big, and in the dark I probably looked like Charlie Manson staring at them. They shut up and when the movie ended skedaddled out of the theater shooting me nervous looks. i know that a lot of people these days avoid going to films in theaters because of boorish behavior, but unfortunately that behavior is not new, it is just intensified with the advent of the cell phone. Now little kids for some reason have always loved dinosaurs, and mine were no exception. They begged me to take them to see the movie. They were five and seven. They were in fact small children but they were also very precocious. I put them off for a long time but finally Jurassic Park was playing out at a discount theater for a final week, nearly six months later. We picked them up from school, and went on a late October afternoon when it would still be light out when the movie was over. I will never be a candidate for Father of the Year, and I am probably lucky I was not prosecuted for child abuse, because this is the second Spielberg film I exposed my kids to at way to young an age (take a wild guess what the first one was). Anyway they of course loved it and I thought they managed to get through without being too traumatized. It was only a few weeks ago that my oldest daughter, now 26, told me that for years she was worried about velociraptors in her closet at night. And of course it drove my youngest to want to work in the entertainment business, the trailer at the beginning of this post is exclusive to the company she now works for. Today, twenty years later, the movie is still terrifying and exciting and fun. The attack of the T-Rex is one of the best fright scenes in movies, and it goes on for nearly ten minutes. There is plenty to be impressed by, but when it is on the really big screen, and in 3D, it is extra impressive. 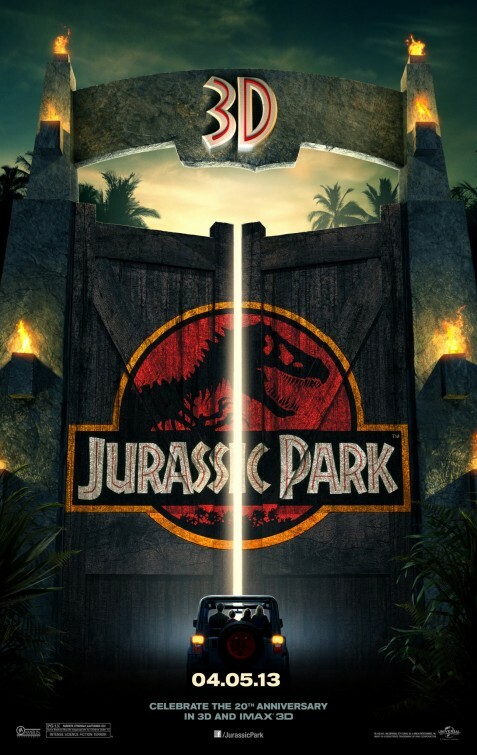 Jurassic Park does not need to be in 3D to be effective, it’s just a little something extra to sweeten the experience and make us want to go through it all again. Spielberg’s trademark extended tension scenes are still there, his empathy for kids going through a divorce, and his ability to empathize with characters who are way over matched is what makes his movies more than just action films. Spielberg creates drama to go with the action. When I read the book back in 1991, everyone was casting in their heads for the main leads. I had always envisioned Harrison Ford as Dr. Grant and William Hurt as Ian Malcom. Sam Neil and Jeff Goldblum are now so much a part of the way I see this movie that I don’t know what I was thinking. Goldblum of course has all the great lines and his delivery could not be matched by anyone. The extra reach of the T-Rex as it is chasing the jeep makes his line “Must go faster” even more appropriately understated. 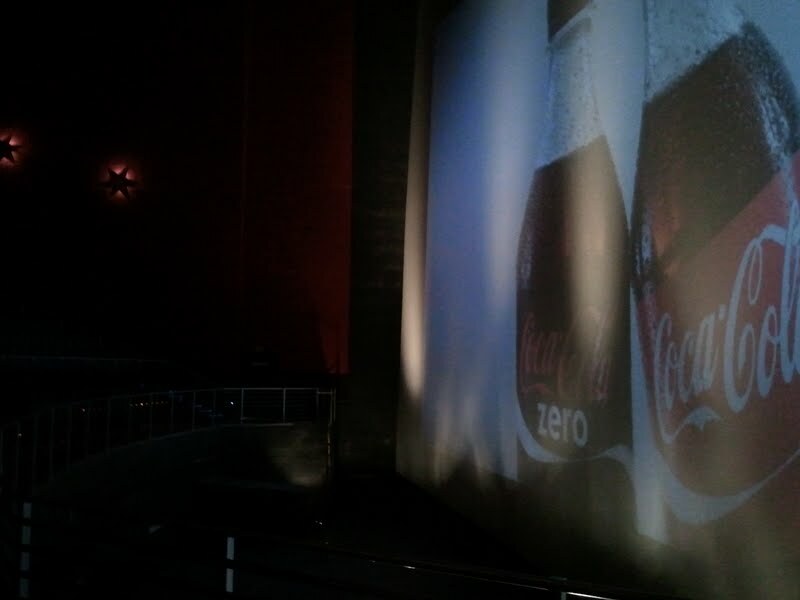 I don’t know if you will be able to see, but the theater we went to featured a real IMAX screen, not one of those Fauxmax screens that AMC tries to pawn off on the public. The screen drops about ten feet below the first row and towers over all the remaining rows except for the very back where the screen is only ten feet higher than the highest row. We sat three rows from the front, right in the center and it is easy to justify the extra travel time and expense to see the movie in this format. Lovers of movies probably know the story of how Spielberg changed the way the movie was going to be shot after seeing a test real of digitally generated dinosaurs. The huge animatronic puppets that had been created for the movie by the Stan Winston Studios, did not go to waste. They are integrated into the movie very effectively and they look terrific. The eye work on some of those puppets is creepy and especially good at selling the illusion that these creatures are real. Phil Tippets stop motion animation doesn’t end up in the film as far as I can tell, but you can visualize several scenes where it was probably going to be the tool they used until the digital dinos came along. Here is an L.A. Times ad that was run before the movies nearly twenty years ago that illustrates the relationship between these two techniques. There have been two sequels to Jurassic Park and from my point of view they are both highly entertaining. I fervently hope that the Fourth film, scheduled for next year in the summer, is also fun. I doubt that it will match anything in it’s twenty year old ancestor, despite the improving technology. Spielberg is a producer on it, so there will be some standards applied, but the creativity that went into the original Jurassic Park is never going to me matched, it can only be imitated. While his political commentary in the last few years has frayed the edges of my respect for him, the legacy he leaves is enormous. A pivotal figure in the world of entertainment for a position that is truly unique.